Hi everyone! I feel like I haven't posted in forever. Things have felt kind of overwhelming with school and, even though I've been painting my nails, I just haven't had time to take photos/write about them! Since we have a 3 day weekend I promised myself I would make time. We went apple picking yesterday at Ochs Orchard in Warwick, NY. They had a huge variety of apple trees and other fun things to pick as well! 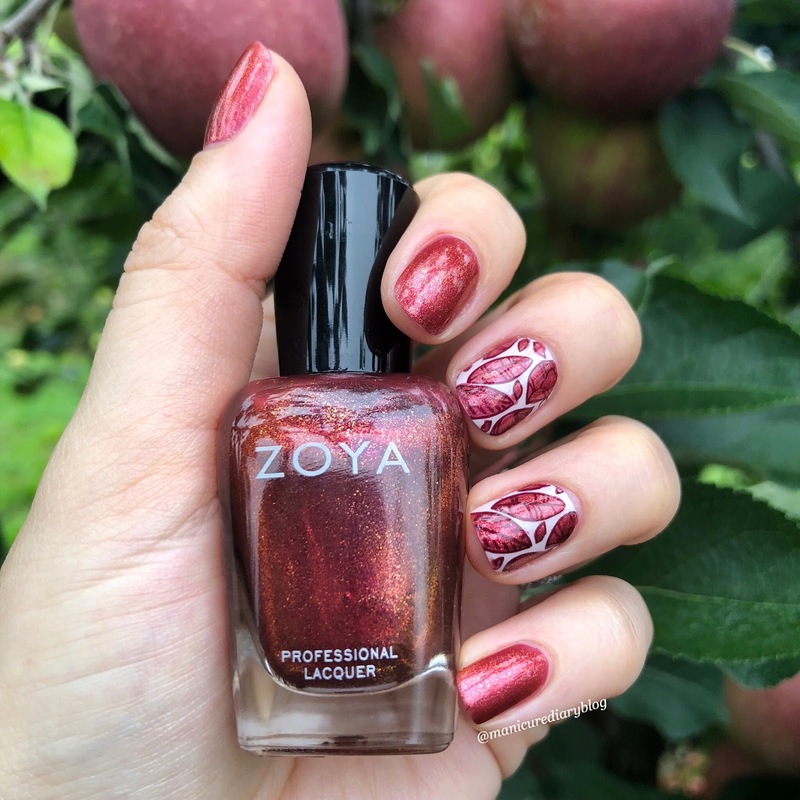 I actually brought my nail polish color in my purse to take pictures of my nails in front of an apple tree. I might have looked a little weird but the photos were so worth it! 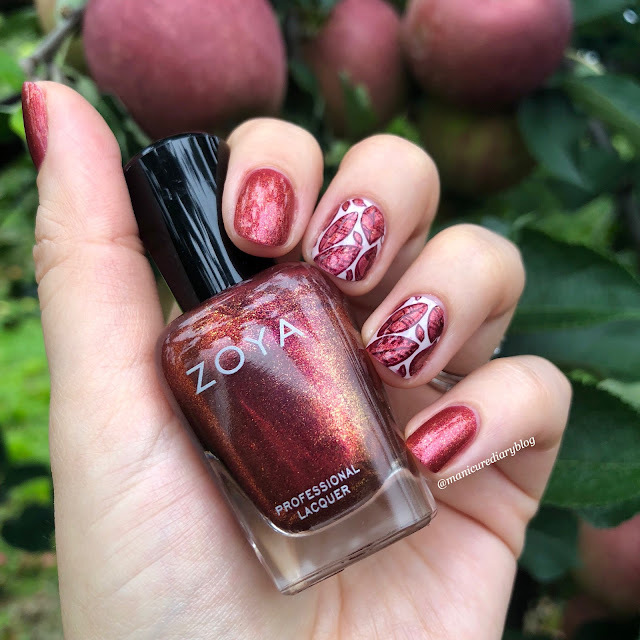 For our apple picking day I wanted to do some fun nail art. 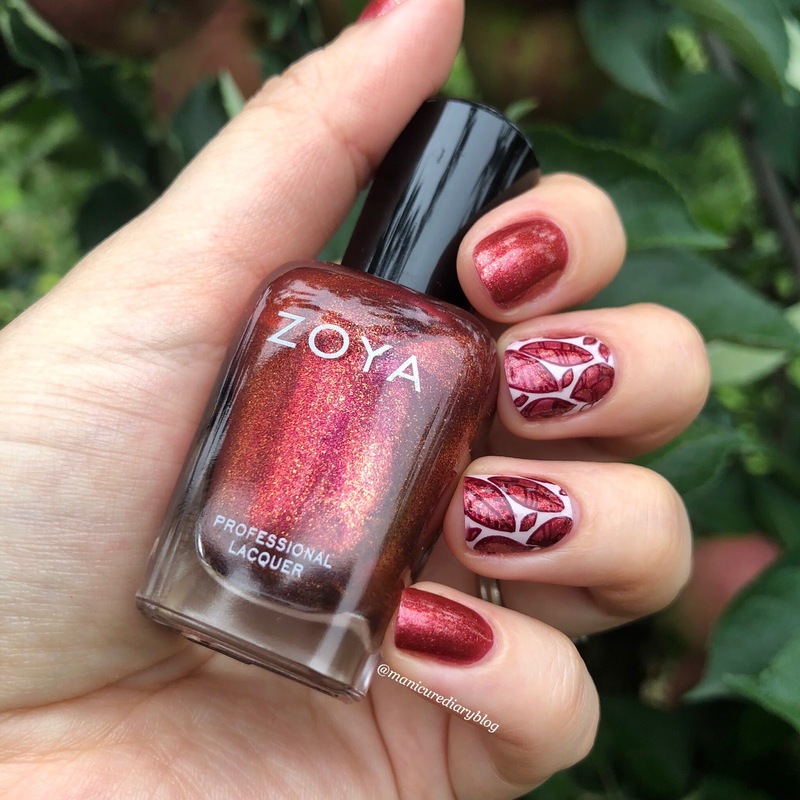 I started with Zoya Tawny, a deep rose/red copper that is packed with shimmer. For my middle and ring fingers I started with a base of OPI Tickle My France-y and then went in with a leaves design from this stamping plate from Born Pretty Store. 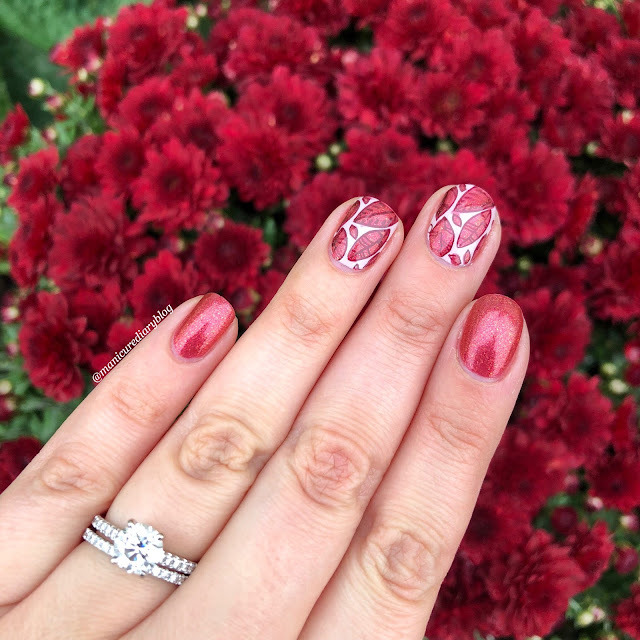 Here's how I did it: I used a dark red polish as my stamping color and got the image onto the stamper. I quickly took Zoya Tawny on a small detail brush and painted over the leaves, giving the design a more dimensional look. I really love how it came out! How pretty are the mums in that last photo? I just love fall!